No matter your crafting specialty, organizing your drawers of glue sticks, acrylic paint and ribbons can seem like a daunting task. But at Beyond Storage, our space solution professionals will work with you to create the ideal craft room area. 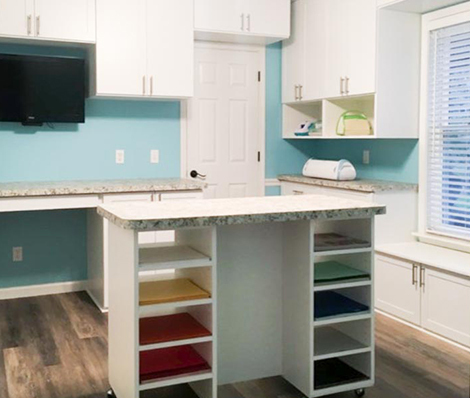 Utilizing custom built cabinetry and organization units, our designers will identify your space needs and offer the ideal solution for your family. At Beyond Storage, we are committed to helping you create a functional crafting space without breaking your budget. Our design team will offer a Free Consultation of recommended work and will coordinate your budget to devise the perfect solution for you.